Nowadays, a freelance agency is becoming a viable option for hiring. 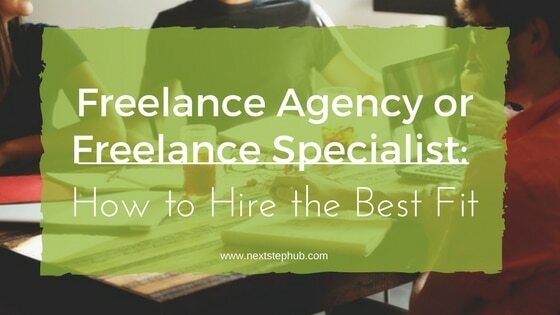 Platforms such as Upwork and Hubstaff Talent lets you find freelance agencies that give you more skilled talents compared to hiring specialists. The important question is, how do you find the right fit at the right price? Would it be better to hire a freelancer to do multiple jobs or an agency with specialized skills? Today, we will help you decide. Let’s discuss the pros and cons of outsourcing your projects to individual freelancers and agencies. Individual freelancers make a great choice when you are starting your project. A competent freelancer can help fill the gaps your company has in staff, workload or skills. 1. Cost-effective rates. Individual freelancers set their own rates, which are often reasonable. They base it on the type of tasks you give them and on the project’s length. They have no overhead costs to consider when naming their prices. 2. Specialized skills. Freelancers sell the skills they are good at. They often specialize in a particular field and focus on it. You can assure that the right talent is handling your project. 3. Allows you to hire more freelancers. If your project needs more talents, you can hire and manage them all. This is perfect for creatives and marketing projects that don’t need regular updating. 4. Involvement with the creative process. Since you can directly communicate with your freelancer, you can be involved in the whole process. This will lessen future problems and unsatisfying results. If anything is unclear, the freelancer can ask you questions and you can answer right away. 1. Unavailability. Freelancers have flexible schedules. They are location independent and can work anywhere, as long as they have a strong internet connection. However, this can be a problem if you are in a different time zone from your freelancer. There might be times that he’s unavailable if you urgently need them. 2. Work overload. A solo freelancer works for many clients. Sometimes, the tasks and deadlines pile up on his desk. This can affect the freelancer’s performance. The projects might be rushed and not properly done because they are too exhausted. This can bring less satisfying results. 3. Looking for a replacement can be difficult. One of the common freelance hiring nightmares are workers who disappear or quit completely. Though a huge chunk of freelancers is reliable, emergencies happen sometimes. Certain factors and reasons can cause a freelancer to quit the project. 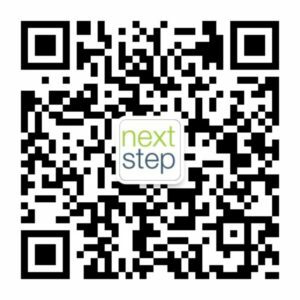 You can hire a replacement in a breeze, but that means you need to go through step one again. Also, if the freelancer is already halfway in his work, it can be hard for the new freelancer to continue it. 4. Managing multiple freelancers can be tough. If you need many specialists, you’ll need multiple freelancers. For example, if your project needs a writer, a coder, and a graphic designer, you need to hire three people. Handling them all at the same time can be a daunting task, especially if they live in different time zones. You don’t need multiple specialists. It can be a challenge for other freelancers to collaborate with someone else on the team. You might end up as the point person to every little detail, causing you to spend more time managing them than getting the results you want. This is where hiring a freelance agency comes into consideration. Freelance agencies are designed to handle complex tasks. Each agency has their own specialization. There are agencies that cater to digital projects, while some focus on content marketing. In a nutshell, a freelance agency is perfect if your project needs many disciplines like planning, development, and testing. 1. Accountability. When you hire an agency, a project manager will be tasked to handle your freelancers. The project manager handles the team, tracks the hours, and provides feedback. It’s easier to go through a project manager who watches the team, than individually checking each freelancer. This gives you more time for other important things like client meetings. Also, you don’t have to worry about freelancers dropping your project. They can provide replacements if emergencies happen. 2. Long-term work relationship. Finding the right team helps you take on more projects in the future. Since you already have a team with a set of special skills, you’ll be more confident to accept bigger projects. 1. More expensive. Compared to hiring individual freelancers, the rates are higher. Some of them need to pay for office spaces, managers, and staff. Those add to the total costs of hiring an agency. You are always busy and can’t always keep up with the team. Both options have advantages and disadvantages. It all goes down in your project’s length, demands, and of course, budget. So, should you hire an individual freelancer or a freelance agency?